Recently, the Granada Native Garden staff was asked to explain how watering issues are managed at the GNG during the current drought situation. This is a good question, because there are several hundred plants at the Garden, and many of them were planted just this Fall, and if natives ever need water the most, it is when they are newly planted and need both time and water to become acclimatized to their new environment. And, to make it more fun, there is no water supply at the Garden! Mary Ann suggested that this explanation of the watering procedure would make a useful post in the GNG Newsletter. The following is an adaptation of the paper that was submitted. 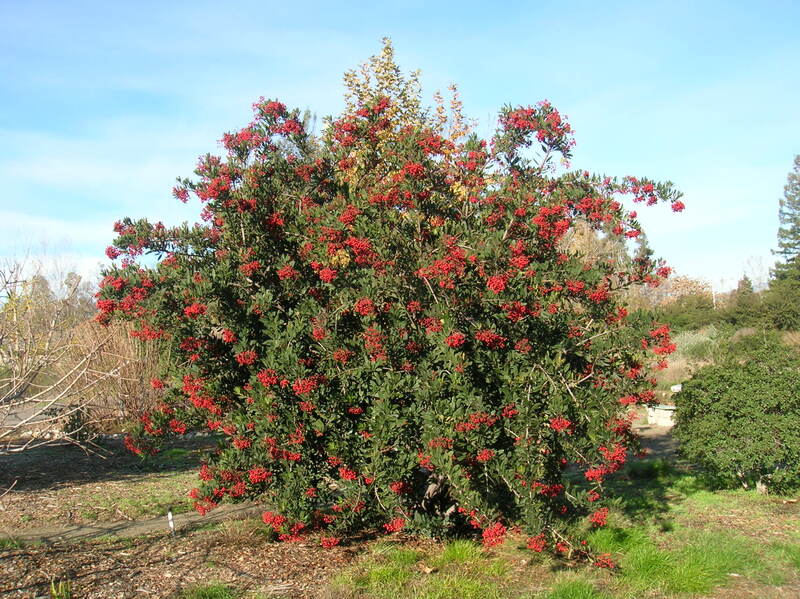 Inasmuch as the original vision of the garden was to demonstrate California native plants that could survive without any summer water, it lacks a source of water for main- taining the plants. Water that was originally needed to start the Garden was brought by means of a fire hose stretched across the arroyo from nearby Granada High School. Therefore any water that is needed at present to maintain the plants, or to install new plantings, must be brought in from other sources, or carried up from the arroyo by the bucketful when water happens to be flowing in the arroyo. 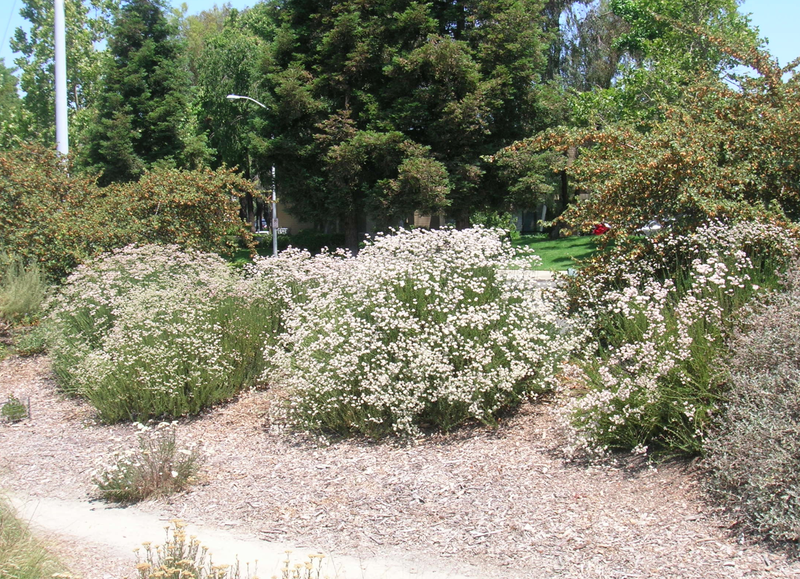 Now, 10 years later, many native buckwheats, California lilacs, currants, oaks and other natives still occupy a prominent place at the Garden, and receive no summer water. The Garden is alive with California poppies in March and April. 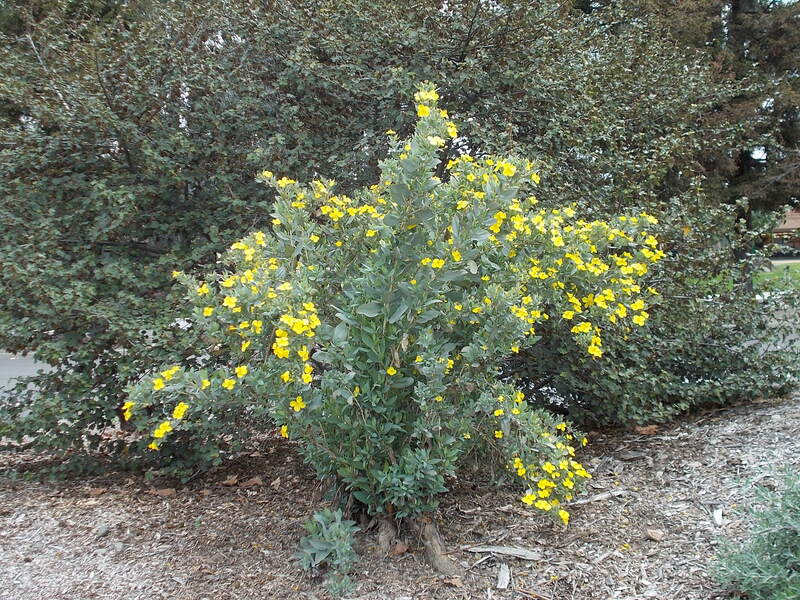 Nevertheless, many specimens originally planted there no longer exist there. This is chiefly because they did not receive the kind of regular care that any landscape plant requires in order to thrive. Mainly, the care we refer to here is that of water management. Every living thing, no matter where it comes from, requires some degree of water management, because every living thing consists mainly of water, without which it cannot survive. How Much Water Is Needed at the Granada Native Garden When water is at a premium, as during times of drought, it is important to know what kind of water regimen a plant needs in order to thrive, or at least to survive until better times. At the Granada Native Garden, we routinely research the specific water require- ments of each plant we plan to add to the Garden. This is especially true with specimens that are used to fill in empty spots, or to replace specimens that have not survived due to natural attrition or inadvertent neglect, or as a result of a recent fire that spread to the Garden. It is characteristic of native plants that they require a considerable amount of water in order to get them established, but in general they require little or no water to maintain them after that. At the time of this writing (November, 2014), we are maintaining over 100 individual plants that were installed within the past year or two. These plants need to be watered about once each week, or in some cases every two weeks. The water requirement for this effort amounts to about 75-100 gallons per week. Once they are established (the usual standard for this is two years in the ground and double the size), the water requirement will be reduced to biweekly, monthly, or not at all after the rainy season — depending on the needs of the plant and the amount of water that is believed to be available from the water table or from the atmosphere in the form of fog or natural humidity. Keep in mind, however, that the water table is continually dropping because water is drawn from it to support local homes and businesses, and the lack of abundant rain in the winter doesn’t allow the water table to be replenished. I would like to point out that the number of individual plants we are maintaining is substantially greater than the number of plants likely to be found in a residential garden. Some plants require more water than others, depending on their initial size, specific requirements, or location in the Garden. And while 100 gallons per week seems like a lot of water, it is actually less than 5% of my family’s weekly water usage during October-November, 2014 — which goes to show how much water a typical family uses in a week! I estimate that the cost of this water is about $5 per week. How Water Is Supplied to Plants at the Granada Native Garden Because there is no source of water that can be tapped into at the Granada Native Garden, all water must be brought in from other sources, and administered to each plant by hand. Keep in mind that none of the established plants at the Garden need to be watered at all during the summer (although we feel that a few could profit appearance-wise by occasional summer water, such as once or twice a month). But because of the large number of new plants that have been added, we spend about 2-4 hours per week manually carrying water to each plant that requires it in order to get it established. Irrigation is facilitated by means of one-gallon and half-gallon buckets that have three or four small (1/8-inch) holes drilled near the bottom of the bucket. Once the apparent water requirement of each plant is estimated, a bucket of appropriate size, or sometimes two or more, is placed at or near the base of the plant. Water is then carried in 1-gallon con- tainers to each plant and poured into each bucket. The holes allow the water to be slowly released into the soil, rather than trickling along the surface and away from the plant where it would not reach the roots. We call them “trickle buckets” or “drip buckets”, as they roughly simulate drip irrigation. In the case of recently planted specimens, some of the water is poured directly on the base of the plant in order to irrigate the center of the root ball; the rest is poured into the bucket. As a plant grows, the buckets should be moved farther from the plant base in order to encourage outward expansion of the root system. Often more than one bucket is placed at the base of a plant, as needed to distribute water more uniformly around the root ball. For some larger plants, 3 or 4 one-gallon buckets with holes drilled directly on the bottom are placed over the root zone to provide wider coverage. Once a bucket is filled, it can be left to drain while the worker moves on to other plants. Drainage usually takes 5-10 minutes. 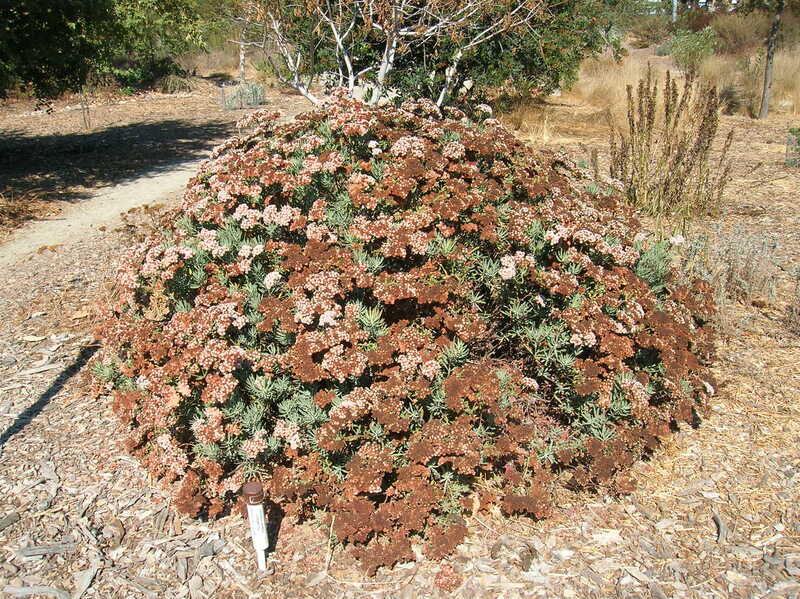 Once a week is generally enough to irrigate a specimen, as most native plants usually like to go dry between waterings, rather than be kept constantly wet. Daily watering is never necessary. 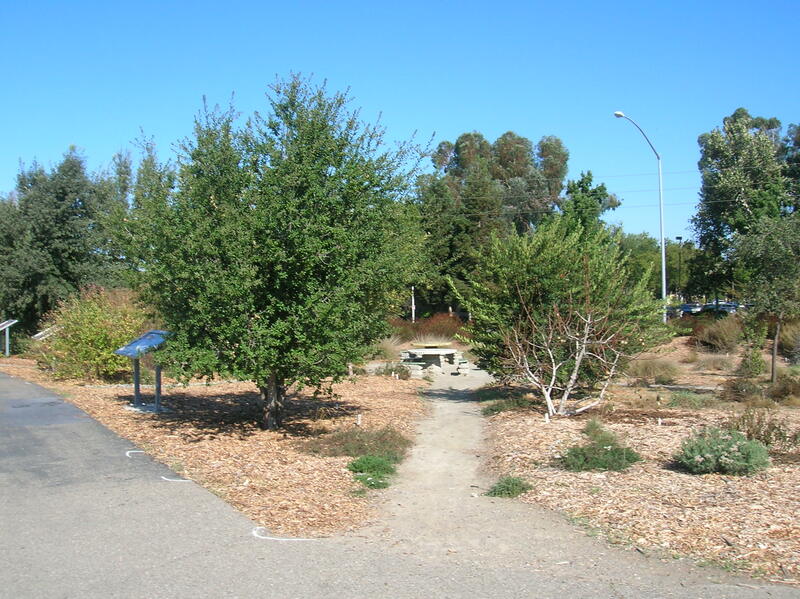 How Practices at the Granada Native Garden Can Be Adopted by Homeowners It should be obvious that the method of irrigation described above requires a good deal of involvement on the part of the gardener, as well as a knowledge, or a good estimate (i.e., an educated guess) about the needs of the plant. However, this task should be dramatically easier for a homeowner with a landscape of typical size, as opposed to a native garden one-third of an acre in size, planted entirely with natives. Furthermore, most of the inconvenience in carrying out this procedure consists of setting out the buckets and collecting them afterward. Often a homeowner can efficiently fill the buckets from a garden hose equipped with a hand-operated shutoff nozzle. One additional advantage of hand-watering over an automatic irrigation system is that it gives the gardener the opportunity to observe each plant individually once a week and see how it is doing. That way, signs of stress (usually not enough water, too much water, or water in the wrong place) can be noticed and addressed before the plant suffers irreversible damage. On the other hand, it is likely that many home gardeners do not have the time or inclination to water their plants individually, as described above. Furthermore, for the same reason, they are unlikely to have a satisfactory knowledge of the water requirements of each plant (which can easily be had by researching the plants, but again that requires both time and the inclination). 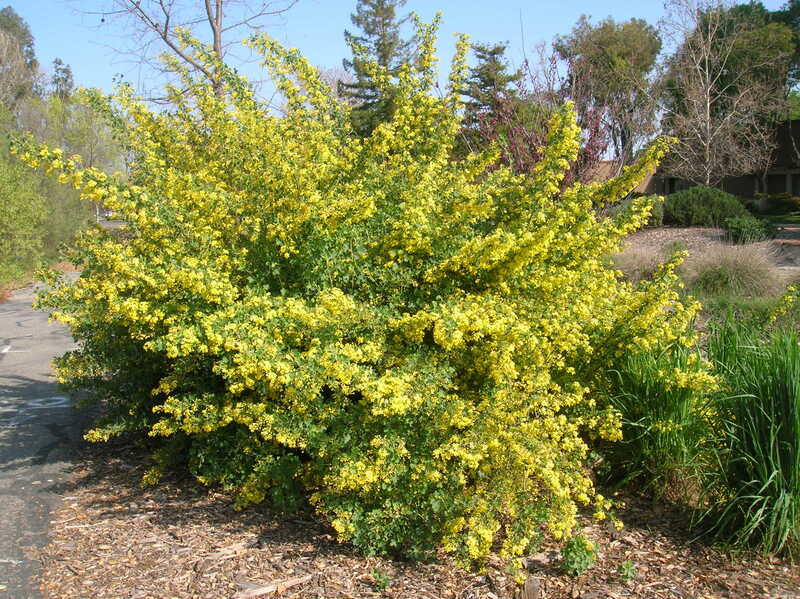 To address this issue, one suggestion is that those native plant advocates who have an above-average knowledge of native plants be willing to donate time, free of charge and within reason, to any home gardener who requests it. Free, because charging for such advice is a disincentive to ask for it. I personally would be pleased to have someone solicit my knowledge and experience, limited though it is, without charging them anything; but of course I don’t depend on that for my living. A professional native gardener might simply offer, for example, one hour of free advice (and maybe encourage more business). 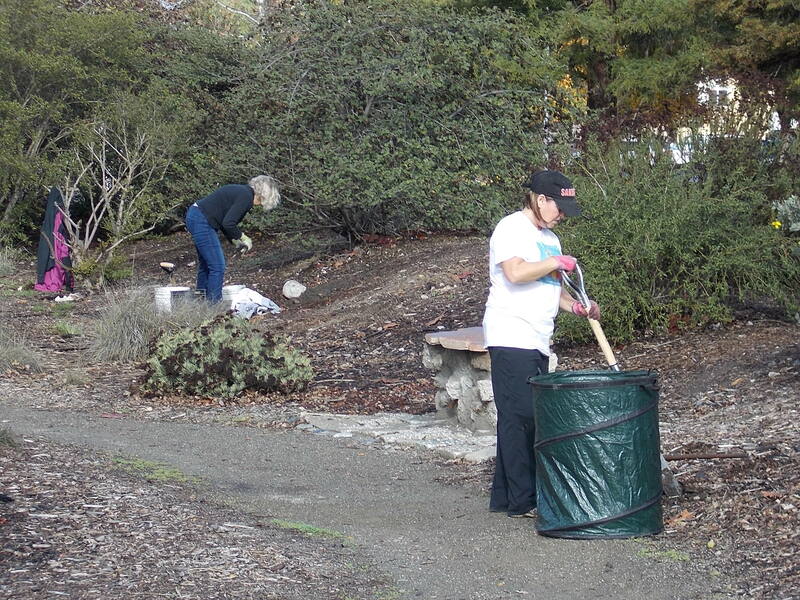 Finally, if the drought persists, the water management at the Granada Native Garden might need to be revisited. The current plan is to decrease watering as the plants mature, but the lack of an underground water reservoir might make the work of sustaining the plants burdensome and unmanageable. Time will tell. Adapt or perish. Nice summary of your approach! I hope you inspire others to go native!